Featuring Betty, Veronica, Sabrina the Teenage Witch, Josie & the Pussycats, and more! 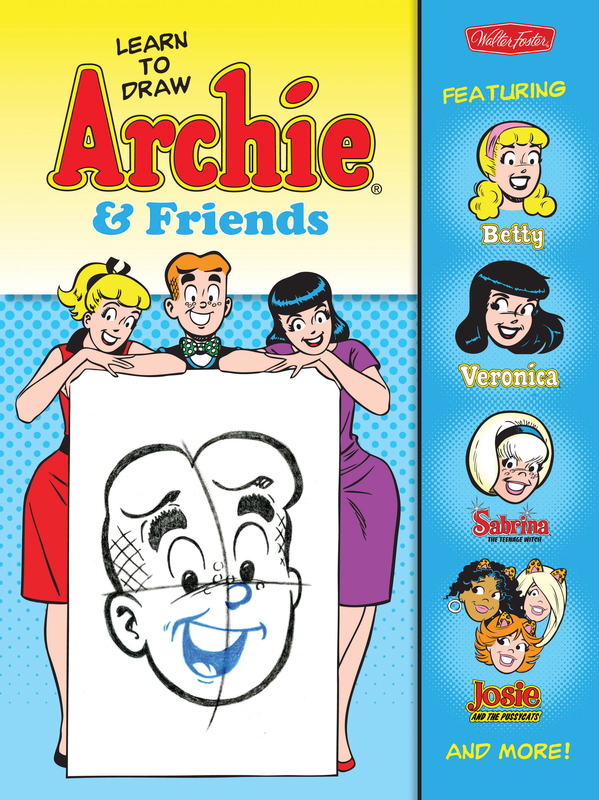 In Learn to Draw Archie & Friends, artists and comic fans alike will discover how to draw the iconic characters from the Archie comic series in their original retro style, step by simple step. Recognized worldwide, and spanning several generations, the iconic characters of the Archie comics still entertain audiences today. One of the longest-running comic brands in history, 73 years since its introduction, Archie is going strong with 1.5 billion comics sold worldwide and more than 5 million comics sold annually in North America alone. The brand began a digital push in 2009 that has expanded to a digital comic app with over 12 million downloads, ranking in within the Top 25 comic apps, digital sales and social media syndication, and has 191K Facebook fans.Walter Foster's Learn to Draw Archie & Friends encompasses all of the well-known characters and properties within the nostalgic brand, including Sabrina the Teenage Witch and Josie & the Pussycats, as well as Archie, Jughead, Reggie, Betty, and Veronica. Featuring the art and aesthetic of the original comic series, this title makes a covetable collector's item for anyone who grew up with Archie or is interested in learning to draw classic comic style art. With a section devoted to each property within the franchise, featuring historical anecdotes and facts as well as step-by-step drawing lessons, the adventures of Archie and his gang will continue on the sketchpads of artists everywhere.